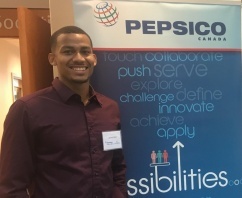 Jarred discovered that the Internship Program was a great opportunity to gain real-life work experience and boost his future employability! 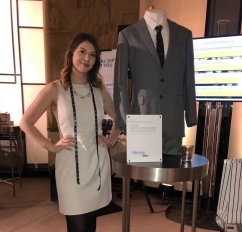 Through her Internship with LGFG Fashion House, she gained a better understanding of her professional strengths, and a clear vision for her career path. Participating in the Bachelor of Management Internship Program, students are able to gain 8 or 12 months of valuable full-time work experience. The internship will begin after your third year in the program and apply as 1 full credit towards your Bachelor of Management degree-plus when doing an 8-month internship you can still graduate on time. The internship option is viewed as a career investment, to build upon skills, professional experience and connections, and enhance employability after graduation. 100% of 2017 BMgmt Internship grads secured employment within 6 months of graduation, compared to 83% of non-Internship grads. 67% of 2017 BMgmt Internship grads are making $50,000 or more, compared to 26% of non-Internship BMgmt grads. Most students who complete the 8-month Internship Program graduate with their Management degree in 4 years. In 2016, Internship students earned an average wage of 15.54/hr, for a collective student earning of over $200,000. Internship students have worked in a wide variety of roles and industries, and in locations across Canada and internationally. Internship students receive training on job search and workplace success through in-class seminars, one-on-one coaching, and ongoing support throughout the work term. Bachelor of Management students who are in the second year of the program are eligible to apply to the Internship Program. To be eligible to participate in the internship program, a student must successfully complete 12 core Management courses in addition to MGMT 3602 (Professional Communications Skills). The internship prep seminar, MGMT 4895, must also be successfully completed prior to the internship. The internship can begin in either May or September. For more information about eligibility and/or your program schedule with the Internship option, contact the Undergraduate Academic Advising Office at uao@dal.ca. The above schedule is based on an 8-month work term. Interested students may wish to review the recommended program schedule [PDF 229 KB] for this cohort. The completion and quality of your application form, including your resume and statement of intent. GPA of 2.70 or higher in the two terms preceding the submission of your application, or a CGPA of 2.70 or higher. Provisional acceptance may be granted pending achievement of a GPA of 2.7 or higher in Fall and Winter semesters of the application year, or a CGPA of 2.7 at the conclusion of the application semester. Interview with Management Career Services. Students participating in the Bachelor of Management Internship Program will be charged a fee of $300.00 to cover the administrative expenses and services offered by Management Career Services. The application period for the Bachelor of Management Internship Program is now closed for 2019. When submitting your application, please read carefully through the following instructions before applying. 1. Prepare your documents for application. The one page Statement of Intent letter should indicate your interest in the Bachelor of Management Internship and why you would like to participate. Include details about the job, organization, and/or industry in which you would like to do your internship. A helpful resource to help you determine your areas of interest is The Vault. Select "Career Paths" to learn about industries and jobs. Resources to help you create an effective resume include our e-learning webinars and pages 22-32 of the Bachelor of Management Internship Program Orientation Workbook which can be found in the “Resources” section of myCareer under Management Career Services. List at least two references (preferably one academic and one from an employer or volunteer supervisor). Please include the following details: Reference's name, job title, organization, phone number, email address, how long you have known each reference, and describe your relationship to each reference in less than 100 words. 2. Complete the online application form which can be found on myCareer. a. Login to myDal and access myCareer from the “Quick Links” section on the right hand corner. b. Once logged on to myCareer, select Management Career Services and scroll down to the bottom of the page. Click on the “2019 – Winter – BMgmt-Management Internship” to apply. Please monitor your Dalhousie email account as all correspondence from our office will be sent to that address. Those students selected for an interview will be contacted in February. Students accepted into the internship program must attend a mandataory orientation session. Should you have any questions, please contact Jennifer Coombs at (902) 494-6935 or jennifer.coombs@dal.ca. Students accepted into the Internship Program will participate in a weekly Internship Prep Seminar (MGMT 4895) during the fall of their 3rd year. Over the course of 10 classes, the seminar allows students to learn the techniques required for their internship (and future) job search success. The course is very practical in its approach and will cover a variety of topics such as skill identification, resume and cover letter preparation, job search strategies, interviewing, workplace professionalism, and more. During the winter semester, students will receive private coaching appointments to help progress their job search. If you have any questions or comments about the Bachelor of Management Internship Program, please contact Jennifer Coombs at Jennifer.Coombs@dal.ca. Curious? 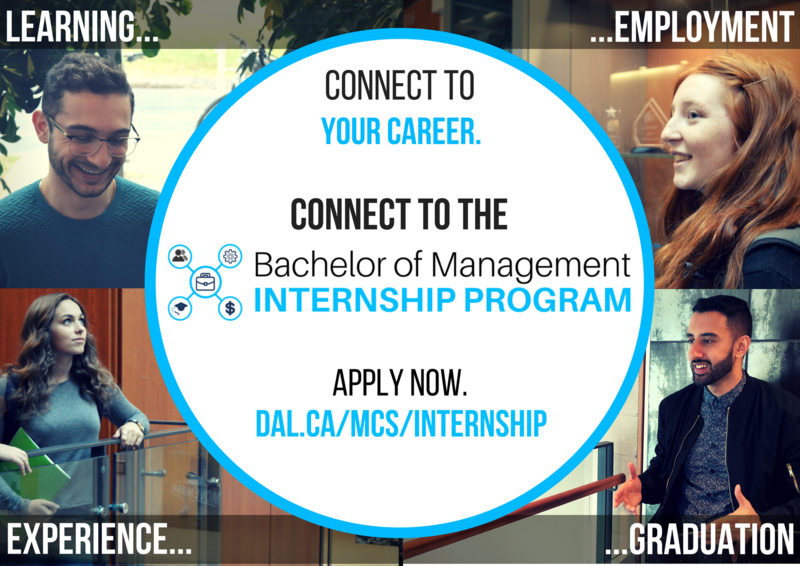 If you have any questions or comments about the Bachelor of Management Internship Program, please contact Jennifer Coombs at Jennifer.Coombs@dal.ca.